Rebecca is a talented sales professional who has the ability to build solid relationships across all levels within organisations. Championing the customer experience in all of her decision making comes naturally to Rebecca, as does her commercial flair. Rebecca enjoyed a successful 10 year career working for a multinational Telecoms provider before moving to local financial services company, St Edmundsbury Financial Services. Here, Rebecca set up, and now manages, the 3SQ Employee Benefits brand. Within this role Rebecca helps SME’s to comply with the workplace pensions legislation, Automatic Enrolment, in addition to creating and facilitating a range of bespoke employee benefits packages. These employee benefit packages cover a wide range of solutions. The right solution for a business will depend upon an employers’ approach and their budget. It’s also essential to consider what benefits will be most valued by workers, and employers should realise that not all employees will value benefits the same way. Benefits can include the likes of Private Medical Insurance and Dental Insurance which are the most popular benefits currently sought after by employees, along with the more traditional Death In Service Schemes. Rebecca can also set up policies which benefit the business rather than employees, such as Keyman Insurance and Shareholder Protection. 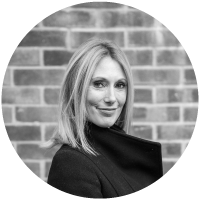 Rebecca acts as trusted adviser to her clients, and through carefully developed relationships with local professionals, is able to offer her clients a range of tailored products and services.